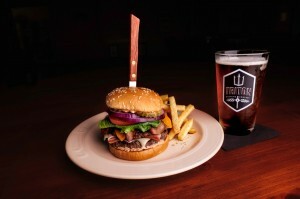 Pictured here is Purgatory’s signature burger; The Pitchfork, created by Chef Tom. This burger begins with a toasted sesame seed bun served with our home-made spicy Purgatory Sauce, next two seasoned Black Angus beef patties are topped with 3 different cheeses, 3 strips of applewood smoked bacon, sliced honey ham and fresh toppings such as lettuce, tomatoes, onions and pickles. 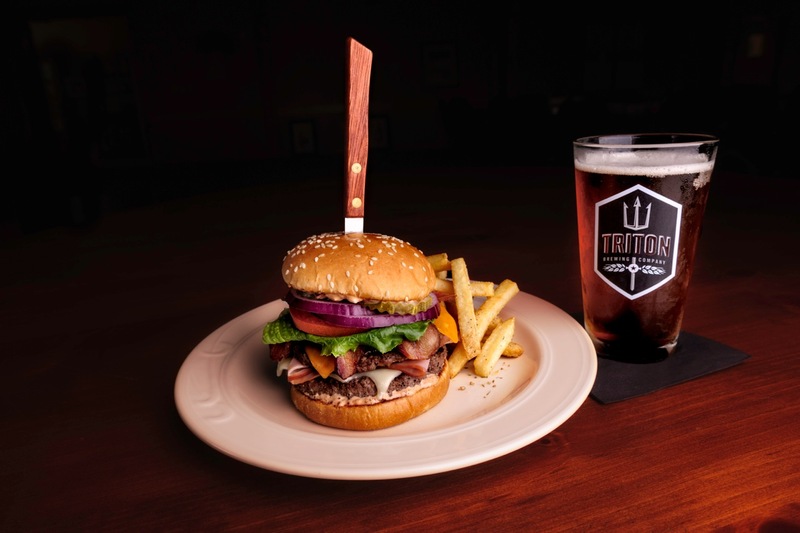 The Pitchfork Burger is paired in this photograph with another Purgatory signature; The Pitchfork Ale. A Belgian style ale brewed for us by Triton Brewery Company, a local Indianapolis brewery. This video takes you through aerfiying the fairways. Superintendent James Brown explains the process, why it is important, and how the equipment speeds the process.